_ _Everyone has some odd characters in their family tree. 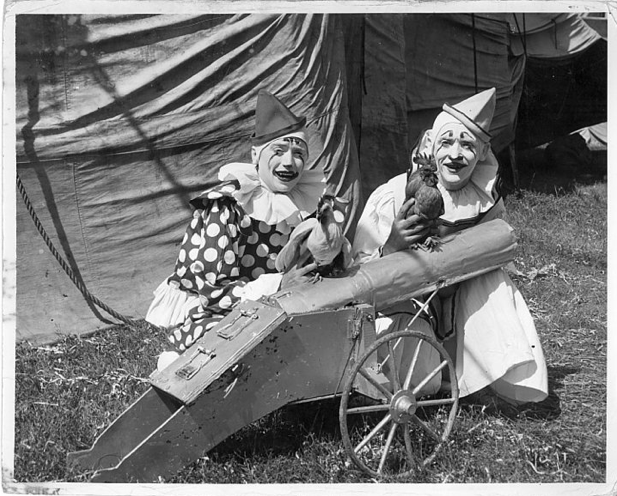 My dad’s great uncle was a blind clown in the Barnum and Bailey Circus, and my mom’s father grew up in rural Oklahoma. Just kidding, that’s not the end of that, but with both sides of my family hailing from Oklahoma, is anyone surprised that there are some weirdos that shake out of the tree? I’ll start again: as a child, my mom’s father grew up in rural Oklahoma… and stuck his fingers in the electrical sockets for fun. And lastly, my own father drinks buttermilk. Straight from the carton. Is there any wonder I’ve had to develop a sense of humor, knowing that this is my genetic stock? _ _Drinking buttermilk is like eating Greek yogurt, plain– and nobody in their right mind does that. But as a part of my (probably temporary) new resolve to eat healthier, eating Greek yogurt is exactly what I’ve been doing and I’ve had to find ways to spruce it up. 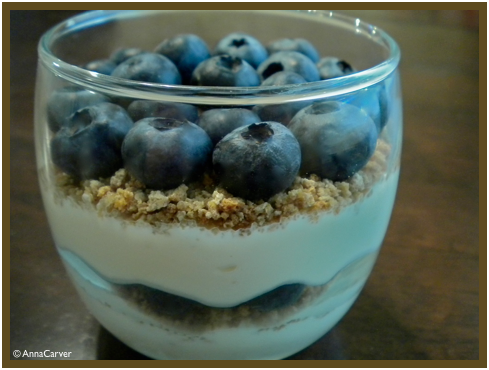 This little parfait tastes like a healthy creamsicle topped with blueberries! 1. In a medium bowl mix together the yogurt, orange concentrate, vanilla and Stevia until thoroughly combined. 2. Layer the yogurt mixture, Grapenuts and blueberries. Done! You come from noble stock, I’ll have you know, as “Bones” Hartzell was circus royalty! !